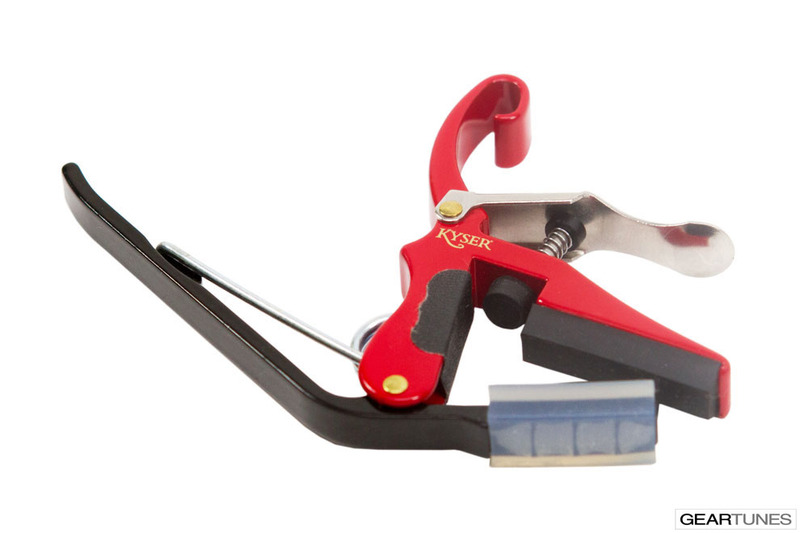 The K-Lever™ Double Drop D gives you the sound of double drop d tuning without having to relearn chords, or change the tuning of your guitar. 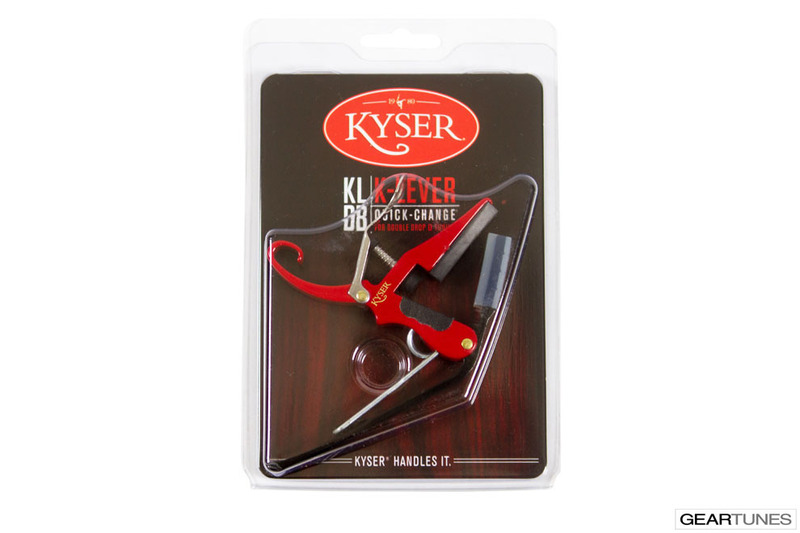 Place the Kyser® K-Lever™ on the 2nd fret from the nut to cover the 5th, 4th, 3rd and 2nd strings. In this position you can play regular chord formations in the keys of D and G. Try playing D-G-C-A7-Em. You hear these chords one step higher (E-A-D-B7-F#m) because of the capo, but the chord shapes stay the same. For instance, when playing the D chord, the 1st and 6th strings are unfretted by the capo, giving you the low and high strings open, and a very full 6-string D chord. When playing the Em, use your 4th and 5th fingers for fretting and your index finger to push down the K-Lever™. 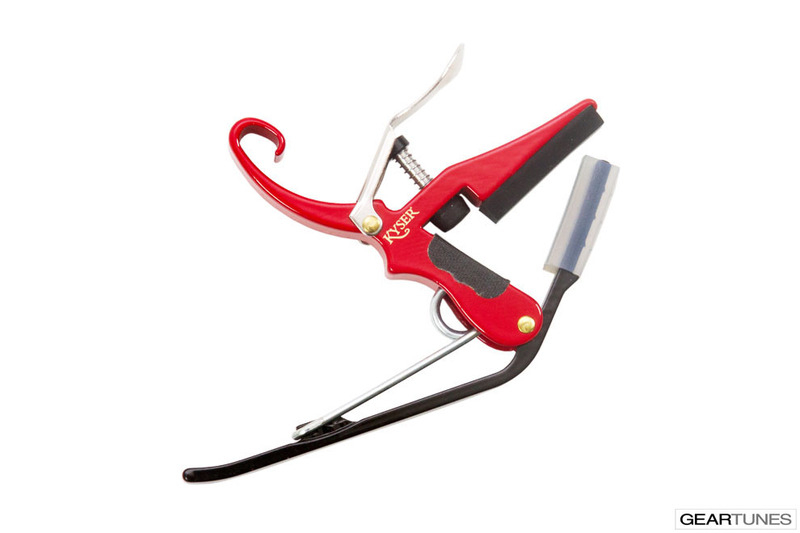 This gives you the bottom E on your 6th string on the same fret as the K-Lever™. 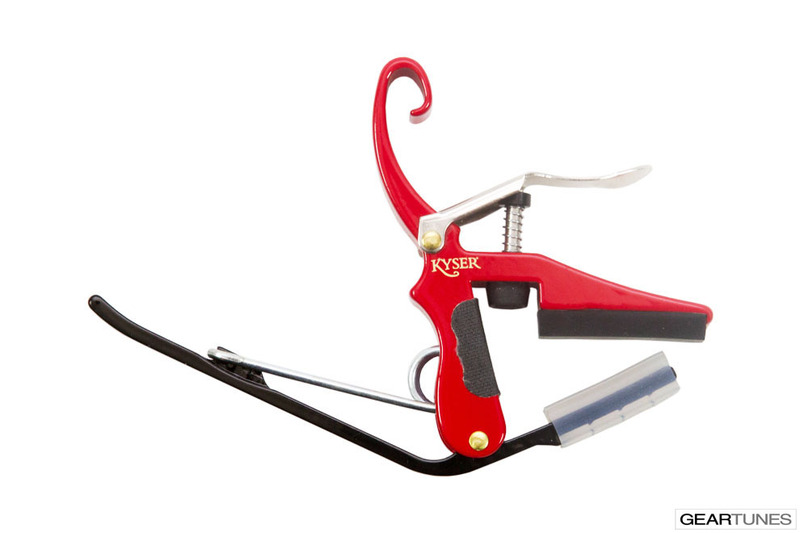 You can "hammer on" or "pull off" with the K-Lever™. 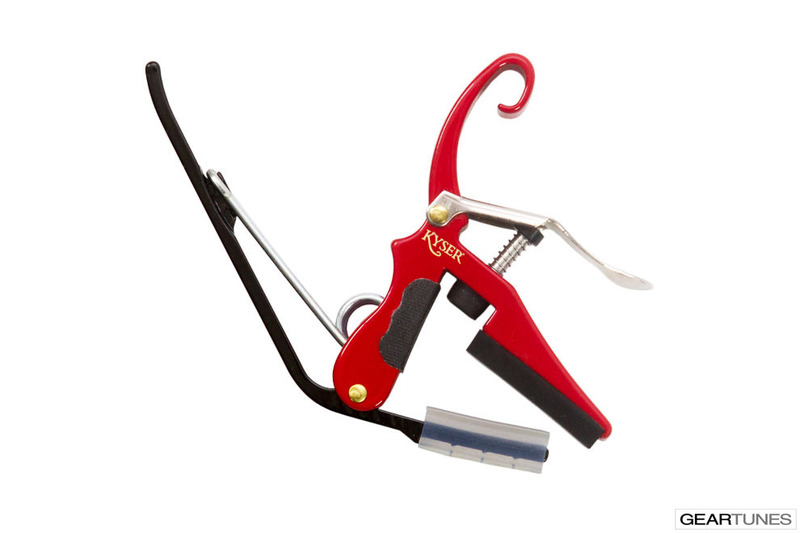 Keep the K-Lever™ down and move to A or A7 to maintain a full-sounding 6-string chord with no loss of bass strings.